Railroads Illustrated Annual’s Day in North America will be Saturday, March 9, 2019. The deadline for DINA 2019 submissions is Saturday, April 13, 2019. See “Submitting Photographs” below for instructions on how to send your entries. Railroads Illustrated Annual is an annual publication presenting the exciting world of railroading, both past and present. We welcome features on all aspects of railroading in North America. We do not accept any works of fiction or satire. Manuscripts should be submitted in a Word document via email or uploaded on the FTP site. We do not accept handwritten material. 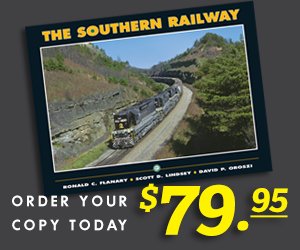 While Railroads Illustrated Annual showcases great photography, we also look for well-written text. Please contact us regarding additional artwork or illustrations. All digital images should be at a minimum 300 dpi and 3,000 pixels across. Please save each image as a high-quality JPEG or TIFF file. You may also submit high-quality, original slides that will be scanned and returned. Please note — we cannot work with duplicate slides, color prints, color negatives, or any previously scanned images burned to a CD. There may be some articles featuring black & white images (although we prefer all color for the DINA section). If you are working from black & white prints, you may mail those to us for scanning. Uploaded images or mailed illustrations should include a Word document with caption information keyed to the images. Each image must have a corresponding ID. Each submission should include the photographer’s name, address, email address, and phone number. For items that need to be returned, please include a self-addressed envelope and sufficient postage. 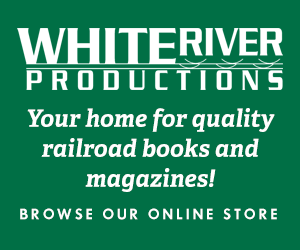 White River Productions assumes no responsibility for the return of unsolicited photographs or articles. Due to Railroads Illustrated Annual being an annual, article backlogs may develop and items may be held for future consideration. We apologize for any inconvenience this may cause. We know our authors and photographers put in much time and effort, and we encourage submissions. With one issue per year, we simply can’t promise immediate publication. 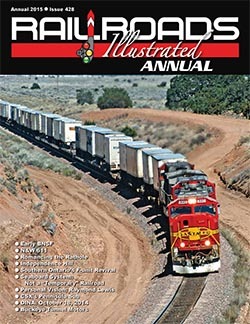 Railroads Illustrated Annual pays for submissions featured in the print edition after publication. Payment will be processed upon publication of the printed edition. Submissions to the RRI web site are contributed gratis. Download this form and return it to us so you can be compensated for your work that appears in the Railroads Illustrated Annual. You can contact the staff of Railroads Illustrated Annual if you have any questions about the submission process.